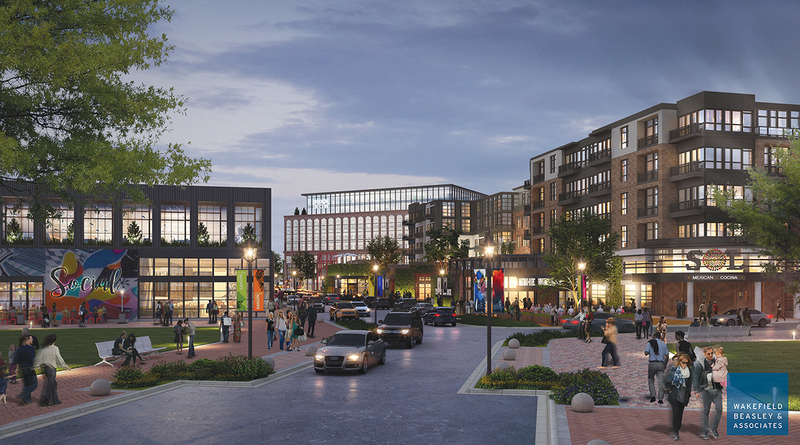 Portland, ME Waterstone Properties Group, Inc., a Needham, Massachusetts-based real estate development company, announced Rock Row, the new name for the transformative 1 million s/f mixed-use destination situated at the former Pike Industries quarry. The site will embrace the 26-acre quarry as a natural centerpiece and foundation, combining elements of destination retail, urban living, workplaces, hospitality, entertainment, dining, wellness and recreation into one experience offering something for everyone. Rock Row will welcome Market Basket Supermarket as its first tenant, having already broken ground and opening summer 2019. Rock Row is designed by Wakefield Beasley, an inter-disciplinary architectural design firm. Waterstone is also curating a brewery and food hall experience in partnership with The Colicchio Group. This 25,000 s/f indoor/outdoor facility will make it possible for local vendors to showcase the best the region has to offer in craft brewing, distilling and culinary experiences. For those who prefer spending time outdoors, Rock Row will also provide numerous ways to stay active, including offering access to lake recreation and a network of walking, biking and running trails.